When the names that one had been hearing all along the valley with such apparent Tibetan influence, (Jangla, Kopang, Karcha, Nelong, Sumla, Dumku, Pulamsumda etc to name a few) how come such a starkly hindu name “Janak”? the Sage-King and famed father of Seeta of “Ramayana”! I was looking at the officer in silent bewilderment. We had just reached the Jadung post in Central Nelang watershed, after a 50 Kilometer drive from Bhaironghati along the fair-weather road off the national highway to Gangotri. 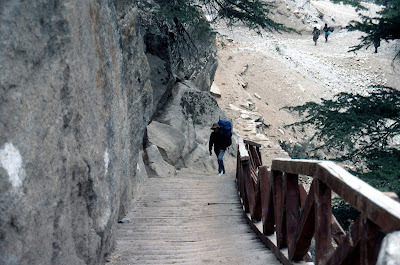 In fact we were thankful to have left the Gangotri highway, crammed up with intense pilgrim traffic…. A month later, scanning again through the research material on the expedition we had just finished, I re-read the long transcript of an interview at http://mountainvoices.org The interview was with an old Jadh lady- Shanti Devi who seemed to be happily answering questions on the Jadh sociology and recalling the times when Nelong and Jadung had seen better days. I remembered this document because this was the only document we had found before the expedition that had any description of the terrain ahead of the Jadung village. After reading the full text of the interview, I realized, there indeed was a local legend about King Janak. The beautiful blob of blue in Google Earth imagery had been a fountainhead of faith for a small tribe of people. 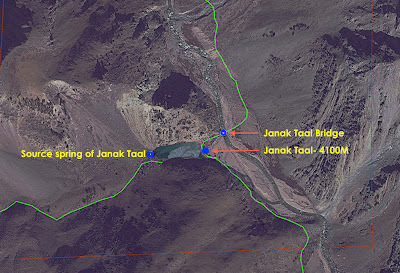 The Jadh villagers of Jadung perhaps used the name Janak Taal for many centuries!! 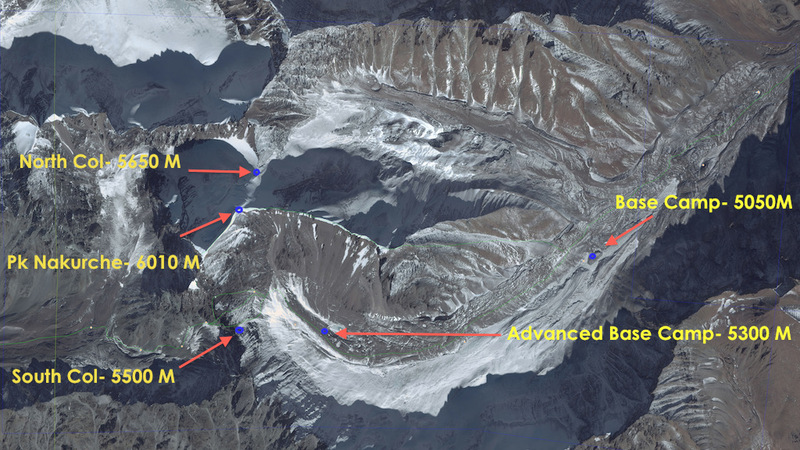 The ITBP surely had not cooked up the name of that pretty jewel of a lake! Somehow a mountain starts looking a lot more personal when one imagines a small human representation in its list of ancient inhabitants; some ancient tribe living in perfect harmony with nature; because indeed, such was the history of the Jadh Ganga Watershed- home to the Jadh people of Jadh-Dung. The name Jadung seems to have come from the compound word Jadh (name of the tribe that inhabited the valley)- Dung (Mountain). The British map-makers have mentioned it as "Jadhang" in the "Survey of India" maps. 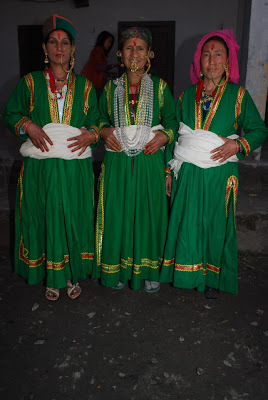 But all local residents of Uttarkashi mention this village as Jadung (perhaps Jadh-Dung). The pronunciation agrees well with the nomenclature explained at the beginning of the paragraph. 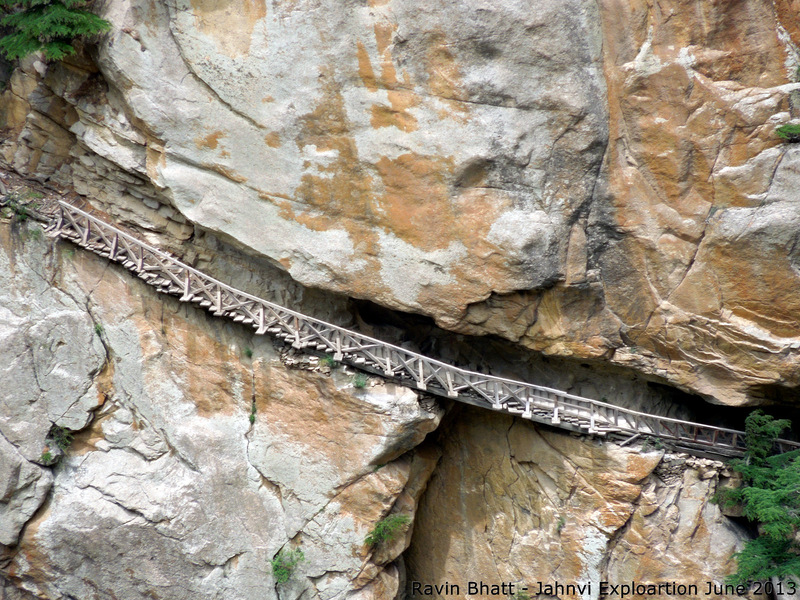 The Jadhs are a tribe of people who identify themselves with the Jadh Ganga valley. In the ancient days, agriculture, livestock and commerce drove the economy of the villages of Jadh-Dung and Nelang that they used to stay in. The Jadh population is estimated at around 2500 today of which more than 60% are residents of the Kinnaur valley in Himachal and the rest in the villages of Harsil and Dunda in Uttarakhand. One could see about 50 odd acres of tillable land that was surrounding both these villages respectively when we visited there in 2013. That can be considered reasonable for a village of about 30 odd families, especially with additional income from livestock and commerce. 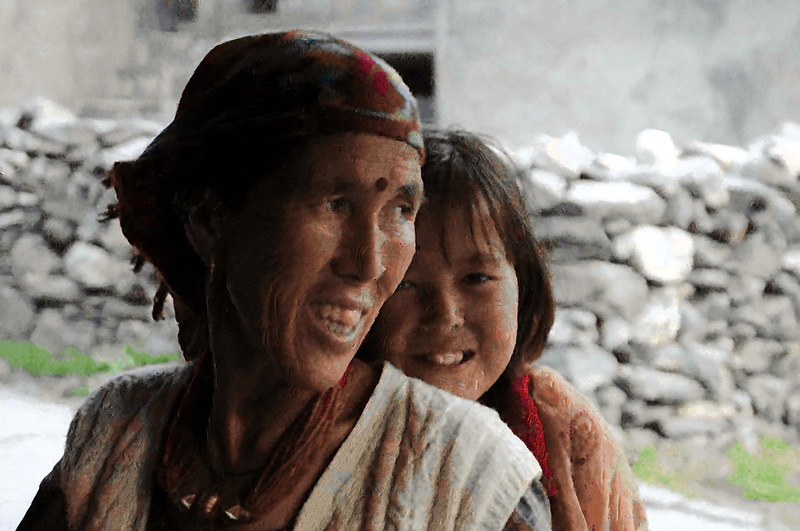 It appears, in spite of their Bhotiya origins, the Jadh people have elements of Garhwali culture and ethnicity. 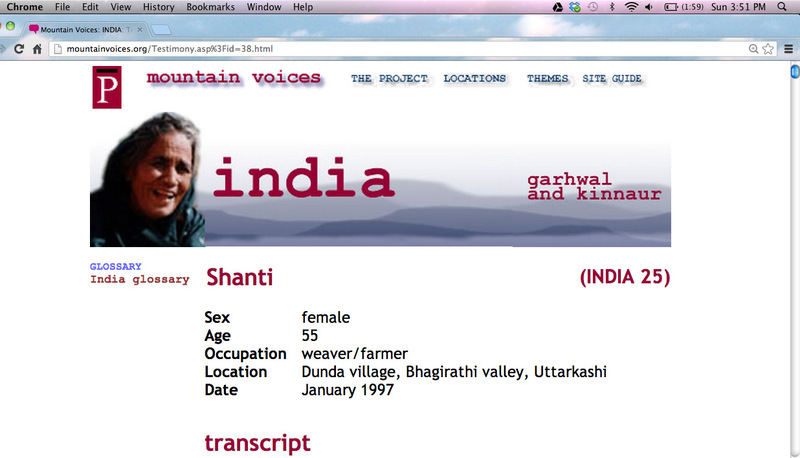 They have the Garhwali Rajput surnames like Negi, Rana and Panwar. Even though they have converted and follow Buddhist festivals and rituals of worship; the legend of King Janak and Hindu festivals like Pandav Lila continues to live on in the Jadh consciousness. The lake continues to be called Janak Taal. If one wishes to delve deep into the history of the Jadh Ganga valley, the freely downloadable documentation of Sino-Indian border discussions are a good starting point. A good deal of insight into the region is also obtained from the book “The Raja of Harsil”, written by Robert Hutchison. The book provides a biographical sketch of Fredrick “Pahari” Wilson of Harsil and captures almost every European visit to the Bhagirathi valley in the period of 1840-80. Apart form that, early European travellers to the Upper Taknore Patti during the early explorations to the source of Ganges mention about the Nelang-Jadhang villages. John Hodgson, J B Fraser, James Herbert, Prince Waldamer of Prussia, Dr Hoffmeister, Col Fredrick Markham, C L Griesbach and S J Stone are some of those notable few who visited the area in the 150 years between the first European visit and the independence of India. The Nelang watershed remained mysterious and obscure for a long time because of the difficulty in accessing it from the Bhagirathi valley, the tall walls of the Nelang Gorge at Bhaironghati barring the way. 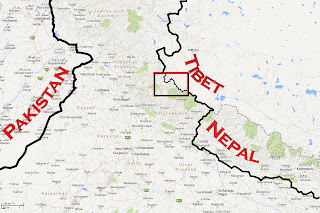 The easiest access was from Tibet over the Tsang Chok La or Jelu Khaga as the Taknoris called it. This may account for the influence of the Budhhist religion and customs that may have proliferated from Tibet in the late 1600s and early 1700s during the time of the 6th Dalai Lama. Fraser in 1815, mentions in his notes that, Tibetans used to carry out raids in the Nelang and Harsil area and on one occasion destroyed a whole settlement near Mukhba village in Harsil valley. Apparently, people from Bushaher and Supin valley also used to carry out similar raids in the Tibetan areas East of Nelang watershed, sometimes all the way till Mana pass. 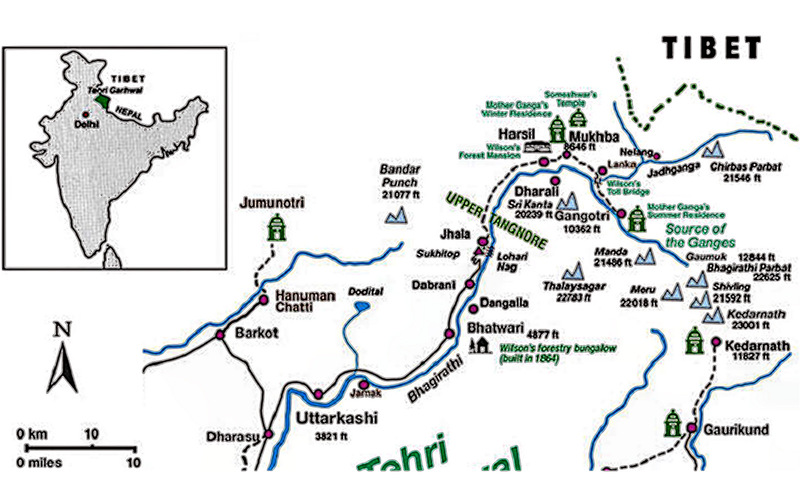 It seems, the Jadhs used to migrate downstream of Bhagirathi in winters and used to trade with Tibetan goods there, thus inviting the right of revenue taxation by the state of Garhwal. Similarly in summers, they had easy access to “Chaprung” district of Tibet when they used to trade in Indian goods with the Tibetans. Thus inviting taxation from the Dzongpen of Chaprung! The poor Jadhs ended up paying taxes and tributes to whoever could exert power and control over them in lieu of economic support. Apart from the above, as Gerard mentions in his book “An account of Koonawar” in 1820, armed cavalry from Bushaher state have been said to cross into the Nelang area over a pass called Chunsa-Khago to collect taxes and dues. State Archives of the 1700s indicate rift between the Bushaher and Garhwal regarding matters relating to collection of taxes and tributes from the Nelang tract. (The isometric 3D view of the probable location of "Chunsa Khaga"
In the written records of A Gerard (1820) and F Wilson (1860) a pass is mentioned that used to connect the Nelang valley with the Kinnaur valley. Gerard writes the name to be Chunsakhago and Wilson mentions it as Chungsa Khaga. 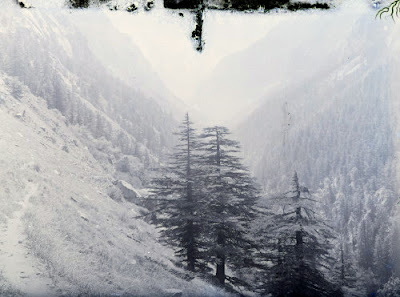 The Bushaheris and the Taknoris used the term “Khaga” for pass, more specifically “a pass over snowy ranges” exactly like they used the term “Danda” for passes over lesser heights. . The other names of the high passes that connected Bushaher with Upper Taknore Patti of Garhwal are Lam-Khaga, Chhot Khaga etc. Evidently the name Chunsa-Khaga indicates – The High Pass to Chunsa or Nelang. In fact Wilson mentions the name “Changso Khaga” to be one of the most difficult passes between “Upper Taknore” and “Kinnaur”. The description he provides of this pass matches exactly with that of Capt A Gerard. Thus it may be suspected with reasonable conviction that Capt. Gerard or his publisher may have made a typographical error by writing the name as “Chunsa-khago”. It is apparent from the accounts of Hodgson, Fraser and Herbert that, in the earlier part of the 1800s, the villages of the Jahnavi watershed had a dual identity. 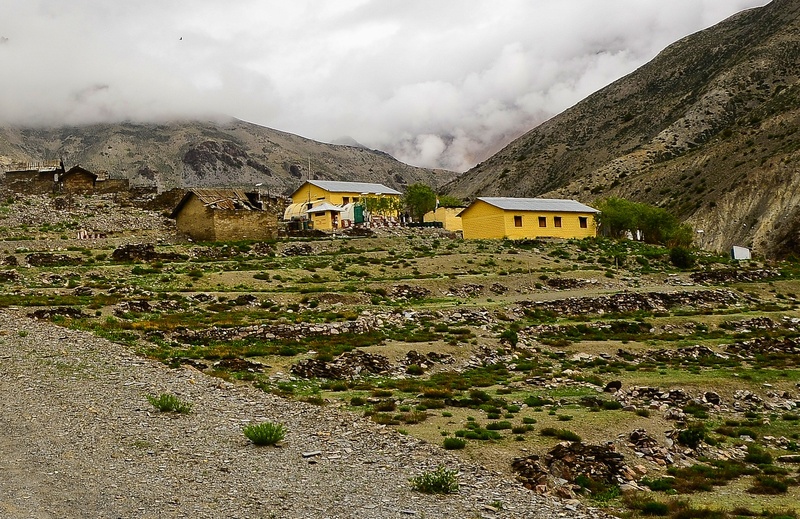 The Tibetans called the entire area of Nelang watershed as “Chounsah” while the Bushaheris and Taknoris called the two villages by the name “Nelang” and “Jadung”. Things took a dramatic turn in the second decade of 1800s after the British got involved in the Garhwal affairs following the Anglo-Nepalese war of 1813-15. This is also the same year that the Russo-Persian treaty was signed and the “Great Game” started between the British and the Russian Empire, which was to last for almost the next 100 years. 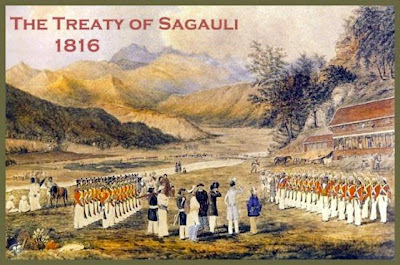 After the Anglo-Nepalese war in 1815 the political boundaries in Garhwal got redefined and Garhwal got divided into two parts. The British Garhwal was formed, which essentially included the Alaknanda valley within its borders. 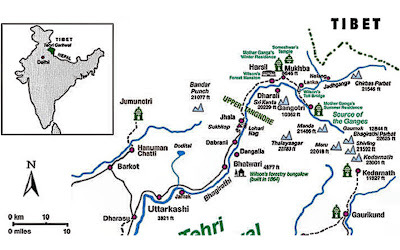 The rest of Garhwal was consolidated under the Tehri-Garhwal State and King Sudarshan Shah, the heir of the earlier King Pradhuman Shah, was reinstated as the ruler. Around the same time, J B Fraser visited the Upper Taknore valley around 1815 in his search for the source of The Ganges and documented his experience with records and paintings. Though he had to come back from Gangotri, his documentations threw a new light on the topography of the area around the source of Ganges. He wrote about the existence of Chaunsah or Nelang and about the Jadh Bhotias. His was the first record about the summer migration of the Jadhs to Harsil area. Two years later, on the 31st May 1817, Captain John Hodgson and Lt James D Herbert of the “Survey of India” became the first Europeans ever to visit Gaumukh. Lt Herbert returned to the Upper Taknore valley again in the August-September period of 1819. 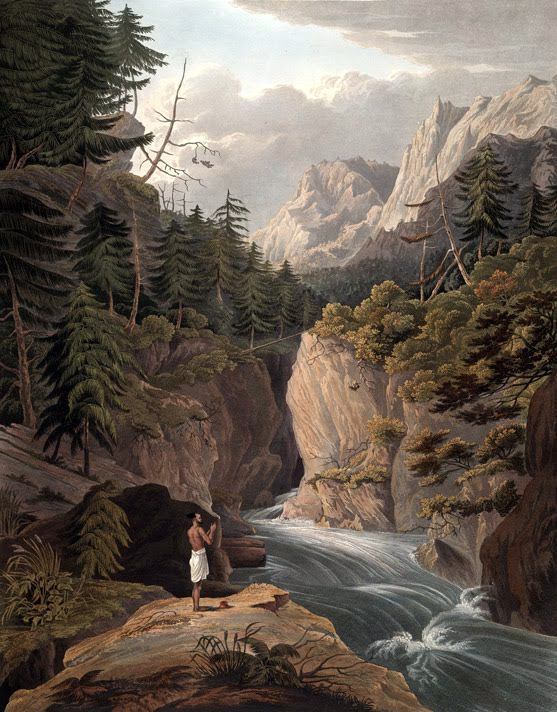 Accompanied with the “Panda” of Mukhba village, he became the first European to traverse up the Jahnavi River and reached Nelang on the 13th September 1819. He mentions that the Jadh people of Nelang and Jadung were apprehensive of European incursion and discouraged him from exploring till the pass to Tibet. Based on his interactions he established that The Jahnavi originates much closer to Nelang and on the south side of the pass to Tibet; not from far off Chaprung, as was previously thought. 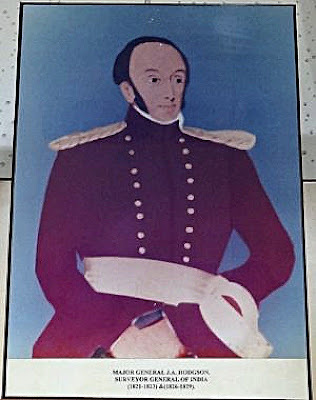 During the 1840-83 period, the Harsil area saw the emergence of Fredrick Wilson – an officer in the British Army who chose a life of enterprise and wealth. He settled at Harsil and started a business of logging after getting a logging-license from the King Sudarshan Shah circa 1843. He brought commercial logging to Upper Taknore Valley and supplied wooden logs and slippers to two ambitious projects of the British- The Ganga Canal project and the Indian Railways. 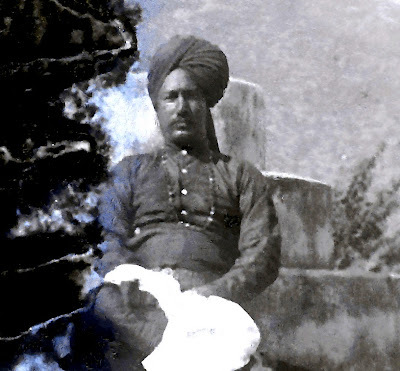 It is said that “Hulseyn/Hodgesingh” Sahib (the local name for Mr Wilson) amassed a fortune of many crores of rupees in just over 2 decades by circa 1860! 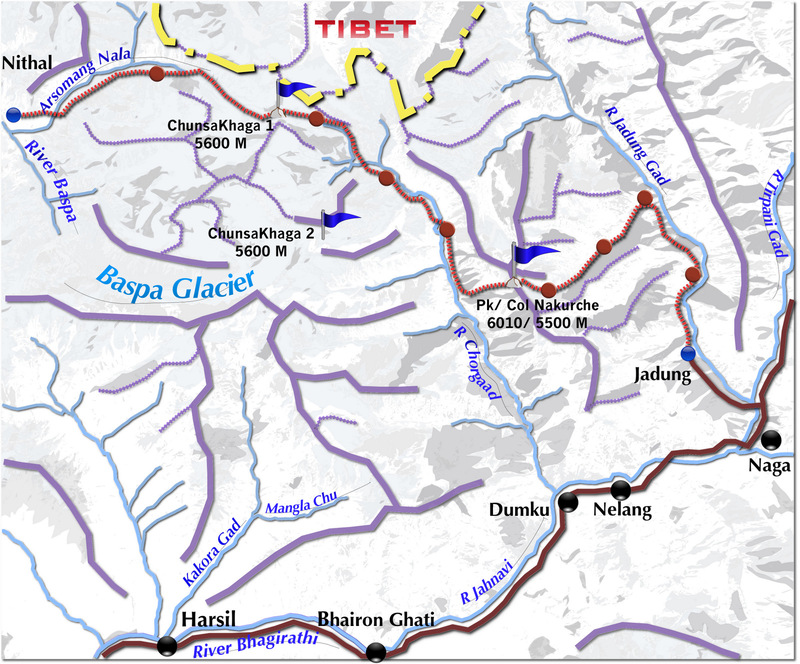 The British suspected that the pass of Tsang–Chok-La (Jelu Khaga/ Jeela Kanta) in Nelang valley could be an easy gateway for attack by the Russians. They wanted pass well monitored and the accesses to and from the pass to be a well-guarded secret. They used Wilson as the eyes and the ears of the British Government spying on any foreign traveller who wished to travel up the Upper Taknore valley. 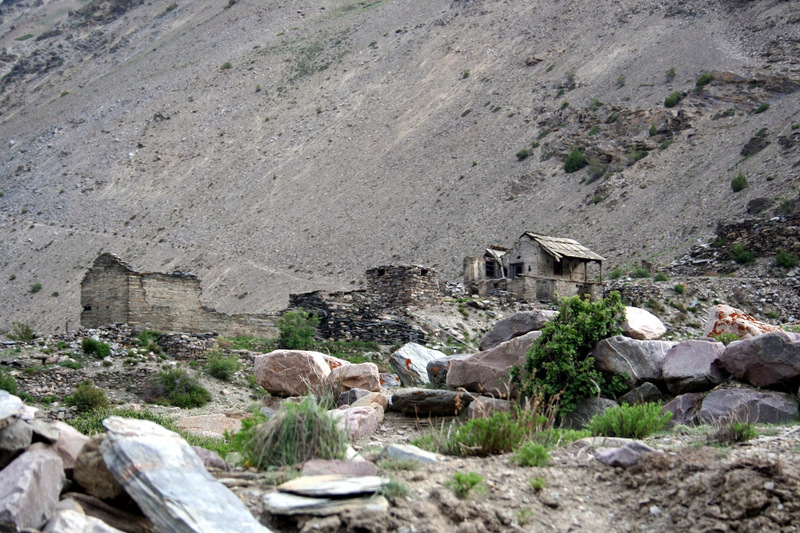 In his early days of residence at Harsil, Wilson, in 1842, followed two Russian Army officers through the Chorgad Valley of Nelang tract, over the Gundar Pass and reached the Bushaheri village of Chitkul . 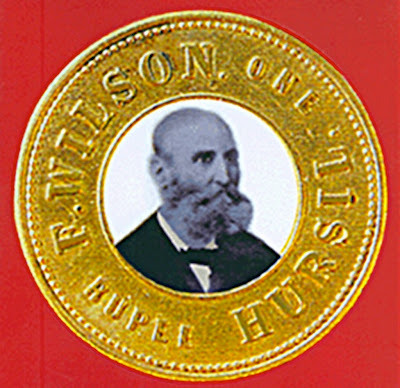 (Hutchison mentions Gundar Pass in his biographical sketch of Wilson- perhaps a Garhwali name for the pass that Gerard mentions as Chunsa-Khaga. The start-end points and other geographical description of the pass are exactly the same). 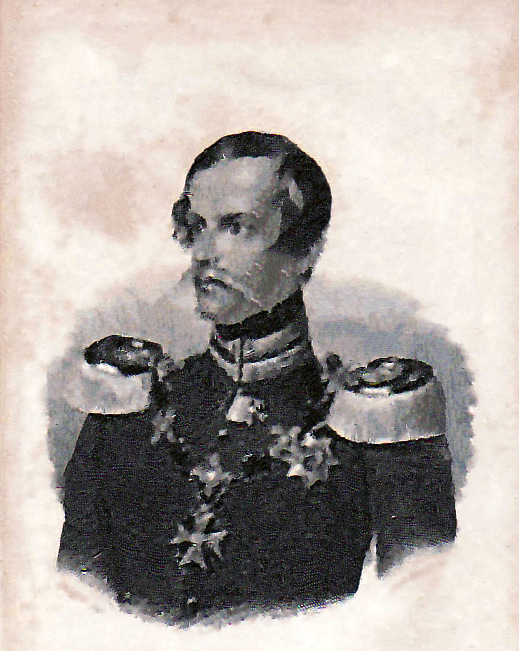 Shortly thereafter, in the July of 1845, Wilson played a pivotal role in preventing the party of Prince Waldamer of Prussia to enter the Nelang Valley. 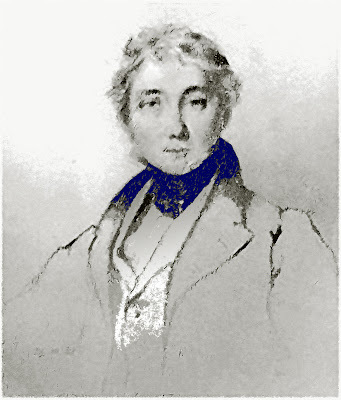 This is bitterly recounted by Dr Hoffmeister, the attendant of the prince, in his book “Travels in Cylone and Continental India-1847”. 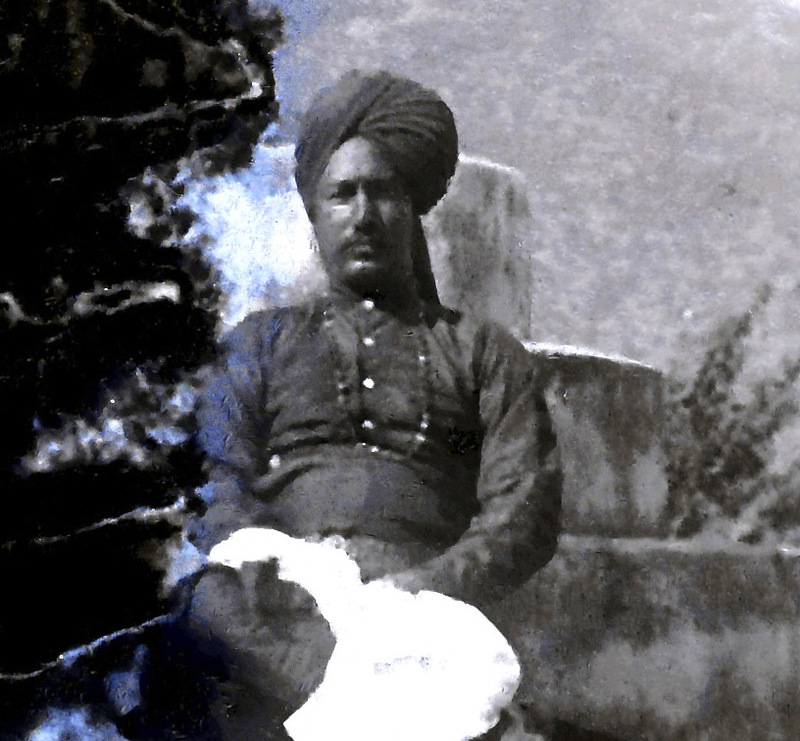 He (Wilson) was later appointed as the agent of the King of Tehri State in the Upper Taknore Valley including the Nelang tract and was also given the responsibility of rehabilitating the area in 1849. Wilson on his part helped establish the communication link between Harsil and Nelang by way of his several architectural ventures and also got few Bhotiyas from the Baspa Valley to settle at Nelang. He was credited with the construction of several bridges over the Jadh Ganga gorge, perhaps for the first time ever, using both suspension and cantilever technologies. There is reason to believe that the “Plank Trail” that one can see near Hawa Bend en-route Nelang on the true right of the Jadh Ganga may actually have been a product of Wilson’s ventures. The trail would have required huge amount of wood and ingenuous engineering. Wilson readily fits that description. During and before that period, there is no other example of such engineering venture in that area apart from those by Wilson who also held the logging license for ”Taknore Patti” and hence had almost unlimited access to high quality Deodar wood. Remains of The Jadh Ganga Toll Bridge, his first venture in 1844, stand tall even today just by the side of the modern day steel Girder Bridge over the Bhaironghati Gorge. The aforesaid Plank Trail leading to Nelang is merely 3 Kms from this place. Let it suffice to say that Wilson indeed was in touch with the Jadh Bhotiyas on a regular basis. But his spying errands for the British Administration had perhaps prevented him and other writers who knew him, to write in detail about Nelang/Jadung, the route leading there and the marvelous piece of engineering that provided a stable connect to those villages. By this time of mid 1800s, the name “Chaunsah” went out of popular use. 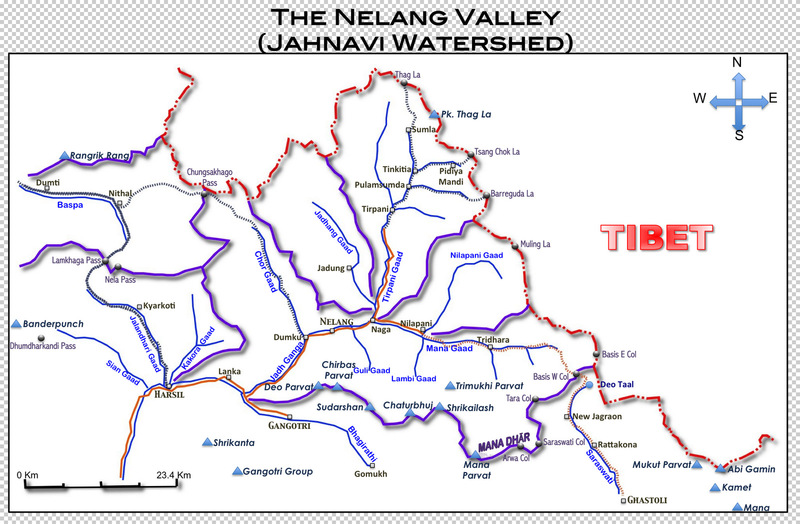 The Garhwali names- “Nelang” and “Jadung” became more popular. 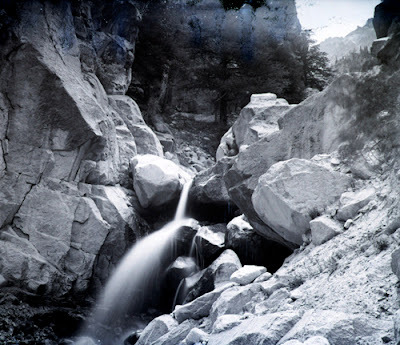 C L Griesbach from the Geological survey of India visited the Nelang valley in 2 successive years 1882 and 1883 and published his exploits in 1891. He made a detailed study of the geology of the region and shot several pioneering pictures of the Jadh people and the valley they live in. 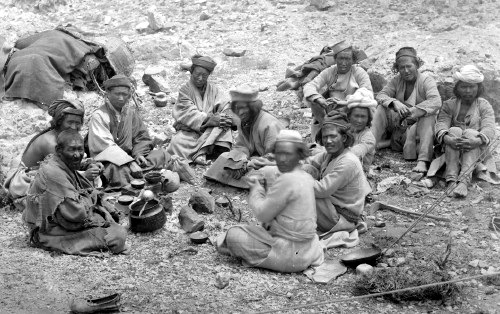 Griesbach mentions in his journals that, the Jadhs of Jadung and the Tibetan government were not in good terms, at the time that he visited there. 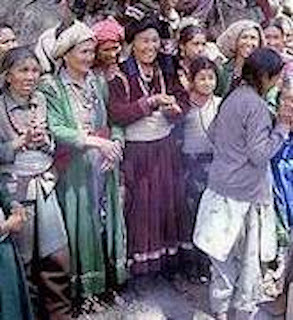 The Jadhs had murdered an overbearing Tibetan beggar-monk and relations with the district headquarter at Chaprung were strained. He mentions this as one reason why he did not proceed to Jadhang from Do-Sindhu (Do-Sumdo) and proceeded to Nilang instead. He was on his way back from Hop Gadh over the Tsang-Chok-La (Jelu Khaga) in 1883. He made an interesting crossing from the Naga over a 19000 ft pass into the Nilapani Gaad valley and having crossed the Muling Pass, ended up surveying the Hop Gad valley that borders the eastern flank of the Nelang tract. He documented for the first time that Muling La in the Nilapani Gaad (a tributary of Mana Gaad) valley has been out of use from circa 1850. 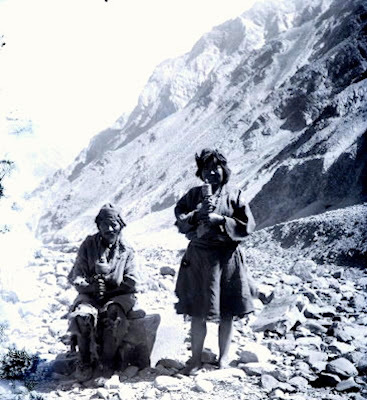 Marco Pallis in his famous exploration up the Gangotri valley in 1933 mentions about his intent of hiring Jadh Bhotias for porters during his brief halt at Harsil. He believed that like other Bhotia tribes, the Jadh Bhotias would also be strong and hardy and would make for good high altitude help. He mentions that later on he was disappointed to see the unsuitability of the Jadhs for his purpose. In the 1936-40 period the entire Nelang watershed was mapped with modern methods in which people such as Lt JFS Ottley and JB Auden played crucial roles. 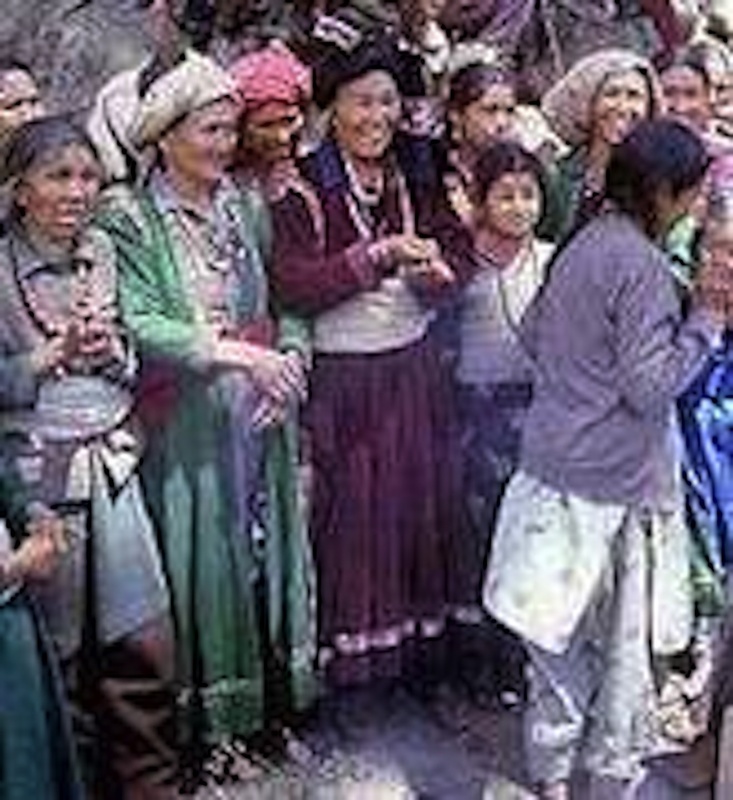 After the disturbances by the Chinese in 1956 and the subsequent clearing up of the valley, very few civilians have visited the area. 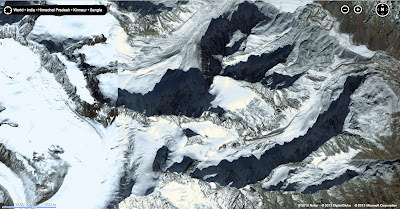 Two notable Indian explorers Romesh Bhattacharjee and Harish Kapadia visited circa 1990 and documented the Tirpani Gaad /Barreguda Gaad area and Mana Glacier respectively. In 2012, a Himalayan Club team led by Ashutosh Mishra team went up the Mana Gaad valley and opened the Basisi Col route to cross over into the Alaknanda valley (HJ-Vol 68); a challenging but easier alternative to Kalindi Khal for going to Badrinath from the Bhagirathi valley. However, during all these developments, geographical details of the Jadung valley remained obscure. 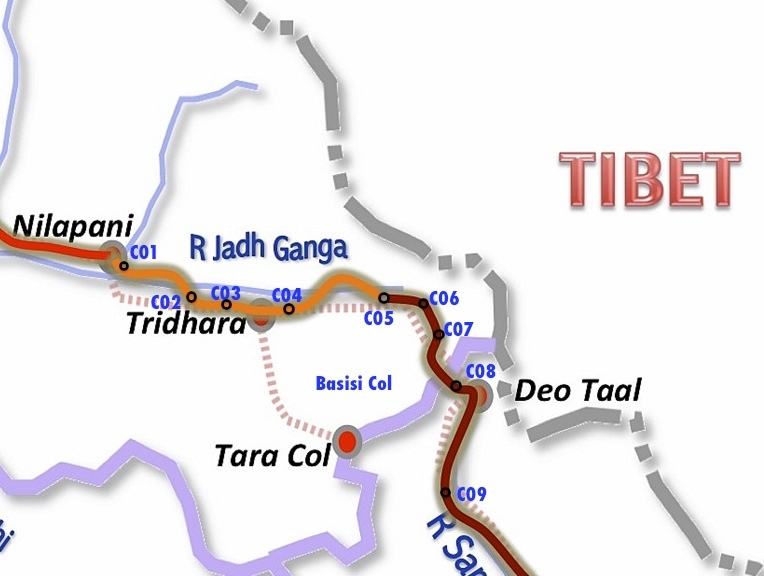 Most of the mapping and documentation focus of the British was on the passes going out to Tibet namely Tsang Chok La/ Jelu Khaga, Thag La and Muling La. Today, nestled in that pretty valley of Jahnavi, the quaint little village of Jadung stands neglected, ruined and forgotten. The intricate woodworks of old Deodar-pine houses mutely bear testimony to years of persecution, hardship and eventual prosperity. 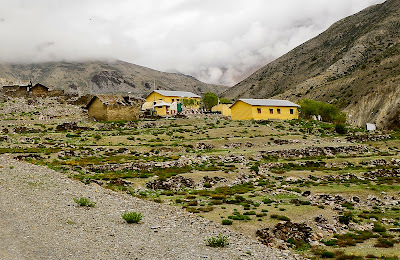 With a network of 100 kilometers of motorable road laid out and being home to as many as 6 permanent military posts, today, the valleys in Nelang watershed are perhaps lot more connected and habitable compared to the days of the yore. Having been aware about the historically romantic story of the village of Jadung, it did not take much to decide upon the expedition itinerary of 2013. Add to that the fact that there is almost no documentation available about the geographical features ahead of the village of the Jadung, which presented a powerful objective; a unique opportunity to explore a valley and a peak that was truly virgin and document it in detail for the first time ever! We were about to do something that was historical and pioneering. The lovely vista and centuries old story of human perseverance that we might witness on the way would be an added bonus. This was going to be extreme exploration and we had to be mindful of few things. The team that went exploring the Auden’s Trail the previous year in the same watershed was retained except for one notable dropout- Anshuman (Bunty). Sanjit Bal and his better half -Atamjot (a qualified doctor) joined in new. Apart from being regular “crossfitters” they came highly recommended from Anant Khirbat (another key member of the team). 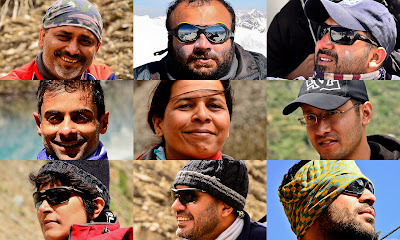 Finally by the beginning of April 2013 we looked set for the adventure with a team of nine- Anant, Arun, Atam, Bharat, Kalyani, Kuntal, Ravin, Sanjit and I. 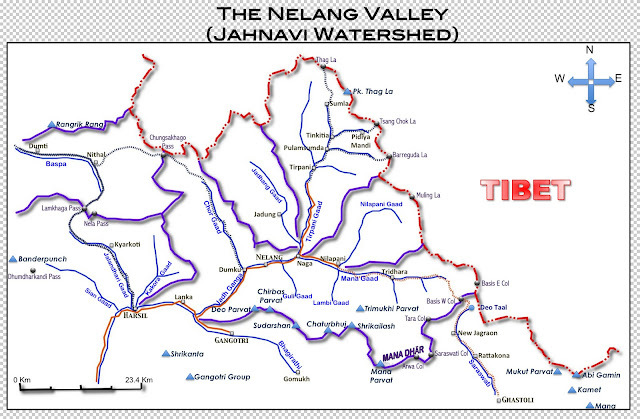 The Nelang watershed drains water from four major valleys. Three of these vales have a generally North-South orientation and only one, The Mana Gaad valley, had a East-West orientation. The three passes that have the International border and water parting line to the North and the Jadh Ganga to the south are Chor Gaad Valley in extreme west, Tirpani Gaad Valley in the extreme east and the Jadung Gaad Valley that lies plonk, in the middle. 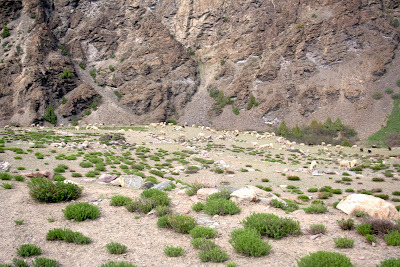 The Tirpaani Gaad valley has seen trade traffic since centuries and was the traditional trade route from the Hop Gaad valley area in Tibet over the famous passes of Thag-La and Tsang-Chok-La. I have attempted a brief description of the valley in the narration of our adventure of the Auden’s Trail. The history of this valley is well documented by Atkinson, Oakley, Heinrich Harrer, Romesh Bhattacharjee and Harish Kapadia. Chor Gaad or “The Thieves’ River” had another interesting story. It was so named because the harassed traders used to use this almost-hidden valley to evade the taxes imposed by the Kingdoms of Garhwal and Rampur Bushaher. Romesh Bhattacharjee, Harish Kapadia and Tapan Pandit have already written about this interesting valley. It is the Jadung Gaad valley in the middle that bears little geographical description in the historical records. Atkinson’s Gazetteer describes the village and carries data about its economic performance in the late 1800s. Similarly, the documents referred to by the Government of India for boundary discussions are essentially extracts from the archives of the Kingdoms of Garhwal and Rampur Bushaher, most of the data is about the rights of taxation exercised by various administrations. None of those documents bear any detail of what lies between Jadung and the bounding ridges of the water parting lines. In the age of Google Earth, NASA Worldwind and Bing Map it is possible to have a look at the geographical features through satellite imagery and have a broad idea about the terrain by superimposing the Digital Elevation Model of the globe, available almost freely on the Internet. We utilized this modern-day technical advantage to the hilt while planning the route. Our initial research revealed a beautiful blue lake roughly 200X100 Meters in size, about 10 Kms ahead of Jadung village. One can clearly see a well laid out track leading all the way to the lake and then on along the Jadung Gaad for few Kms ahead. Perhaps the Jadhs of Jadung used it in old days and the troops guarding the border use it in the current days, we surmised. Just ahead of the lake, the main valley narrows down considerably and the track climbs high above the gorge to finally terminate at a distance 10 Kms ahead of the lake near a major confluence of the main river valley. Up ahead the valley narrows even further between tall cliffs before opening out wide into a network of glaciers and reaches the final water parting line that defines the border with Tibet. It looked difficult to follow the main valley to reach the headwaters. 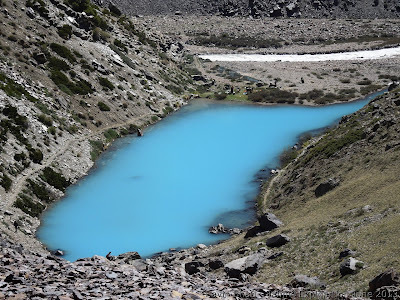 However, hope beaconed to the true right of the valley near the lake where a dead glacier appeared leading up to a high plateau ruled by a beautiful looking peak. The peak had shoulders on to its North and South both of which seemed to have doable cols that could lead one to the neighboring valley to the west, The Chor Gaad valley. Of the two cols the South Col was 200 meters less tall but had a much steeper angle of descent. We decided to throw our lot with the South col.
We planned to explore this glacier, crossover to Chor Gaad using one of the cols and then proceed north to the head of the Chor Gaad, crossover the Chunsa Khaga to the Baspa valley and exit at Chitkul of Himachal Pradesh. The plan was an ambitious one. Even the traverse over the Chunsa Khaga was a rare trek. 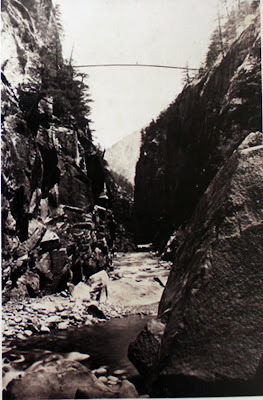 Only one team has been recorded to have crossed this in the last 200 years.. Tapan Pandit from WB carried out the traverse in modern times, as late as the June of 2009, over this interesting and elusive pass. We wished to execute the plan in the first half of June. Upon tracking the forecast for almost over a week during late May, I observed one strange pattern! There was consistent forecast of the weather going bad after the 15th of June with significantly high precipitation predicted in Himachal areas compared to the Bhagirathi valley. That was a bit strange. Usually the June rains are due to the South West Monsoon and the monsoon depletes into lesser precipitation as it moves west from Uttarakhand to Himachal. Only later would I connect the dots after the massive cloudburst in the Kedarnath valley 2 weeks later. Our plan was to cross Chunsa-Khaga by the 15th of June and exit to Chitkul on the 17th morning. 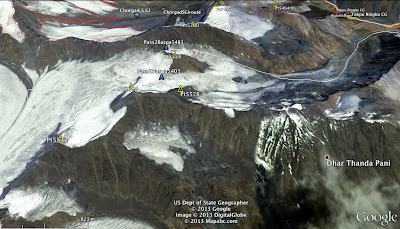 That would have required us to cross the unexplored Nakurche South Col by the 10th of June – latest. With all those constraints of terrain and weather we finally departed for Uttarkashi on the late hours of 31st May. thank u very much for great information of my land and my origin.I never been my for fathers village.I am a Jadh.I am surprised to see this page.Most of information about my valley is authentic n my family had great history in jadh tribe.i use to hear from my grand parents how they use to visit Kailash mansarovar from my valley.I uncle still use to visit my village Nelang..this jotendra singh negi. Are permissions required to visit Nelang and Jadhang. Though not a trekker or an explorer, these two villages and the Jadh Botiyas have been in my mind since last 2 years. And I do not know how this idea came to me. i would like to read it..a s a Jadh tribe i would love to know everything belong to my forefathers .It is surprised to see such wonderful land .my granny used to tell me everything abt sang and chungsa..our people still use to worship our deity and our shepherd use to go in summers .My father had many sheeps n horse ..now we all left becoz no trade n no education n hospital..our younger generation now studying in doon aur delhi.it is very good to see n read information abt my people..thank very much .. Thank you Jotendra for your kind compliments. I am overwhelmed with joy that my work has been of some use for you to link back to your ancestral history. Mario ... I do appreciate your curiosity and can empathise with the feeling. For me it was the first view of that board that says entry is prohibited. Can not say for you..perhaps a similar cause if you have visited Gangotri..or perhaps you may have read the article of our exploration or that of Tapan Pandit's of H Kapadia or R Bhattacharjee's account..or may be JB Auden's or JB Fraser's accounts. To answer your question yes, you need a written permission from the DM Uttarkashi allowing you to visit the Nelang valley (specific locations) for an approved period of time. 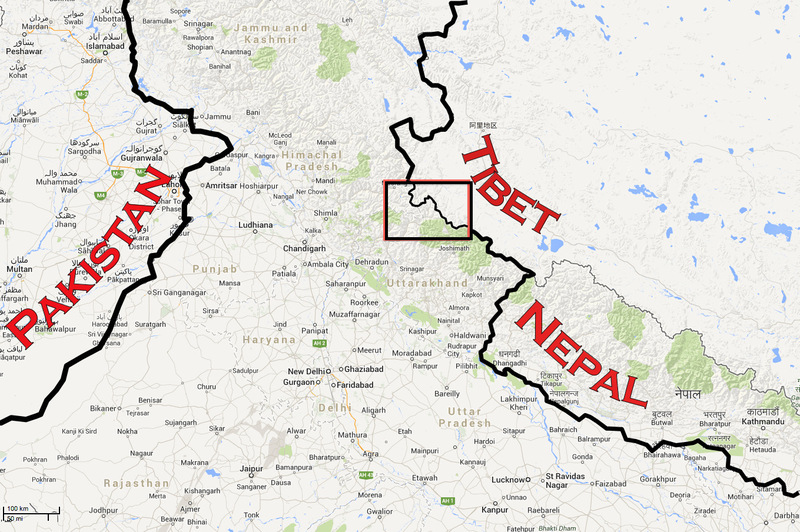 As I discovered just a few days ago, apparently the Tibetan name for the entire Himalayan Garhwal is also Chongsa. Ref 'Physical Geography of Western Tibet', page 2 by H. Strachey (1854). I am researching for Nelang and Jadhang villages especially their historical origin - seeking evidence for their claims under Forest Rights Act 2006, under an ICSSR sponsored Research Project on Sustainable Development of Mountain Communities undertaken in the Upper Taknore villages along with other villages in Bhatwari Block of Uttarkashi District. Your blog has provided important references. Thanks a lot. I would be acknowledging your blog. Interesting read. Came yesterday from Jadung. To inform you all, now one can procure permits from Uttarkashi up to Nelang. This is as a result of continuous efforts of the Hotel Association Uttarkashi to open the Nelang Valley to tourists. So on Sept 28th 2015 a group of 30 of us with special day visit were allowed up to Jadung. We hope with the support of ITBP and the Forest department other areas in the Nelang valley become accessible. This route - from the Chitkul end to Nelang and then from Gangotri to Kedarnath and then onto Saharanpur - seems to be the one followed by KIM and Teshoo Lama in their quest (see the last part of the book by Kipling). I am curious how Kipling could have imagined such a difficult route at all. Perhaps Ashutosh can identify Shamlegh - the place in Chini valley from where Kim starts back? Thanks Yogendran ...for that input. I will check. But not difficult to imagine. It seems Kipling had met Fredrick Wilson....must have been inspired by him which caused him to portray him as the protagonist in "The Man who would be King". They lived in the same time in history. Coming to Wilson, he seems to have known about this pass and apparently used it privately to get to Kinnaur. In that case, its probable that the two may have discussed it. Hutchison goes as far as to say (in Raja of Harsil) that Wilson followed two russian spies over this pass to Kinnaur and killed them in an accidental brawl. So one can put 2 and 2 together. But I am doubtful if Wilson told him about the details of the pass. He was apparently very secretive about the route to and people of Nelong Valley. So unlikely that Kipling would give a faithful description. But I will read and come back to you on this. Wilson in his book "A summer ramble in Himalayas" mentions about this pass explicitly and in fact devotes almost a paragraph to it. 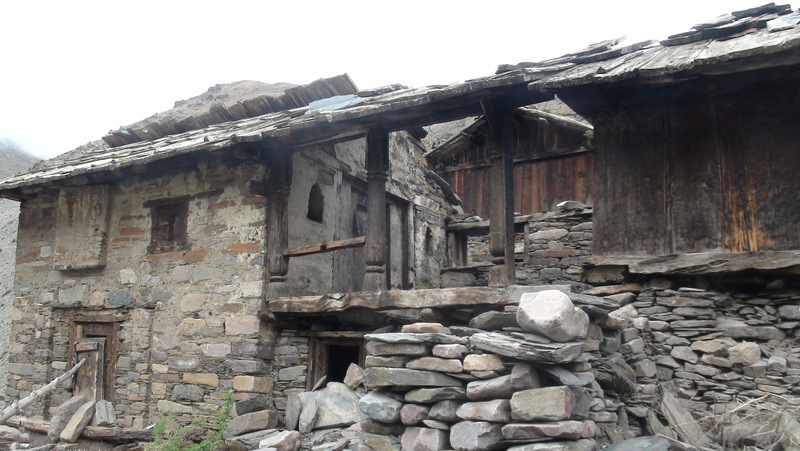 Chini is the current day town of Rekong Peo...the HQ of Kinnaur district. Artist and Adventurer at heart- Love things pretty, arty, musical. The adventurer within prowls the mountains, seeks that lost link in the pristine laps of nature. Intensely passionate about what I do. Easy to laugh...yet need those moments of absolute solitude. Used to love the drink of Bacchus but watching it now. Would give anything to live that dream of writing memoirs sitting in my little farm tucked away in the mighty mountains. A die hard foody and do claim expertise in skills of the culinary nature. snowscapes.blogspot.com by Ashutosh Mishra is licensed under a Creative Commons Attribution-NonCommercial-NoDerivs 3.0 Unported License. Based on a work at snowscapes.blogspot.com. Ashutosh Mishra. Travel theme. Powered by Blogger.